Hardik Pandya’s comments were called sexist and misogynist and drew a lot of flak from all corners. 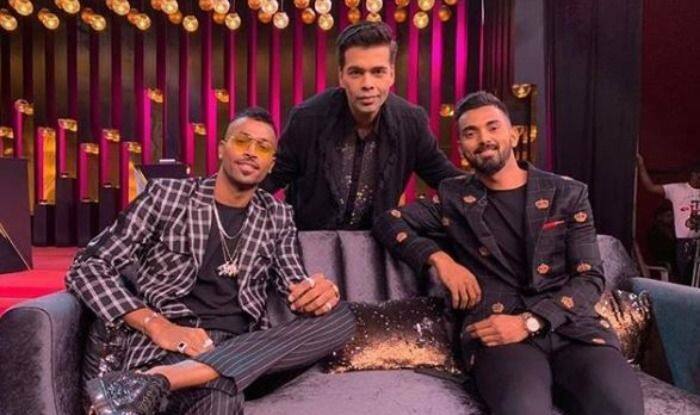 Amid the outrage over cricketers Hardik Pandya and KL Rahul’s controversial remarks on the celebrity talk show, Koffee With Karan, Hotstar has taken down the episode. Pandya’s comments were called sexist, misogynist and drew a lot of flak from all corners. Both the cricketers also miffed BCCI and a show-cause notice was issued against them. They were given 24 hours to explain themselves. After the controversy, Hardik apologised on social media. Hardik boasted of having hooked up with multiple women. He even stated that his parents were fine with his sexual activities. The cricketer went on to say that he likes to watch and observe how women move. As the episode went on-air, he was criticised for his derogatory remarks. His father defended him saying that Pandya didn’t intend to hurt anyone’s feelings and the statements were made only to entertain the audience. However, both the cricketers are in the danger of facing a two-match ban. On a related note, Pandya and Rahul were the first two cricketers to grace the popular chat show. Hardik is currently in Australia with team India where they recently had a historic maiden Test series win.